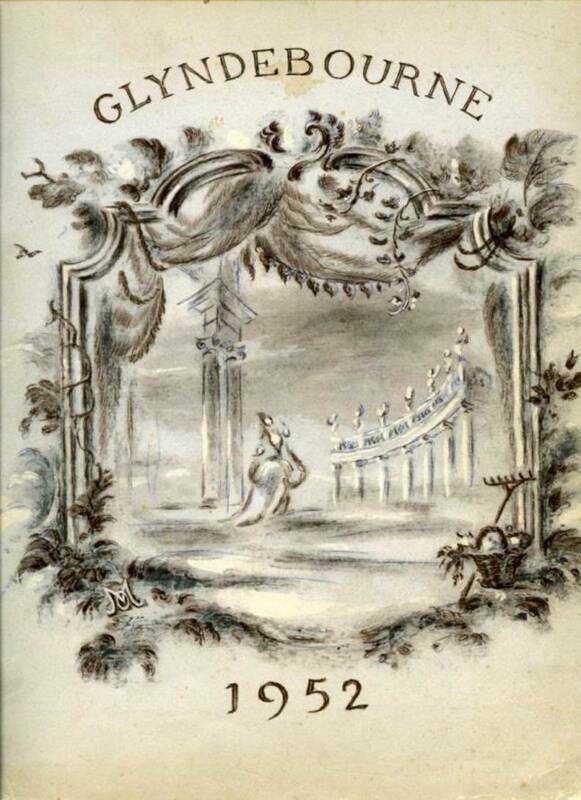 Originally inspired by the season-long programme book of the Aix-en-Provenance Festival, industrialist Miki Sekers suggested to Moran Caplat that something along similar lines would be ideal for Glyndebourne, and the Glyndebourne Festival programme book was born. Produced annually since 1952, with beautifully illustrated articles to complement the season’s repertoire, it is a vital adjunct to any Glyndebourne visit, and has become a collector’s item. Cover designs were initially created by designers working at Glyndebourne, such as Oliver Messel, Osbert Lancaster, Emanuele Luzzati and Hugh Casson. In more recent years work by artists Howard Hodgkin, Peter Doig, Anish Kapoor and Chris Ofili has graced the cover. For the Archive, these books provide a wonderful record of Glyndebourne’s performance history, the people and personalities involved in the organisation, and the social and historical context of the Festival. They are one of the resources most used by visiting researchers.